The Oppo AX5s is equipped with a Huawei HiSilicon KIRIN P35 (MT6765) processor. The Oppo AX5s comes with 2/3/4 GB of RAM and 32/64 GB of internal memory which can be expanded via a microSD. The smartphone runs OS Android 9.0 Pie. The phone powered by a non-removable Li-Polymer 4230 mAh battery with charging through a micro USB port. The Oppo AX5s boasts of two rear camera, 13-megapixels main rear camera with f/2.2 aperture and 6-element lens. A 2-megapixels second rear camera with f/2.4 aperture which is used for depth information. The front camera is 8-megapixels with f/2 aperture and face unlock for selfies and video calling. 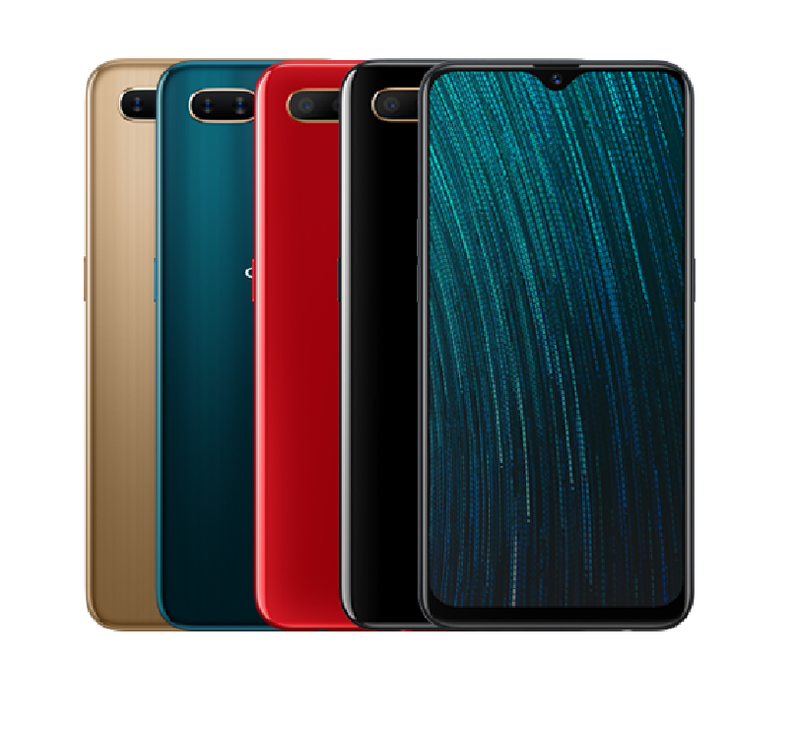 The Phone is available in four colors (Black, Red, Green and Gold). The smartphone comes with a 6.2-inch IPS display with screen resolution 720 x 1520 pixels, and 2.5D curved glass screen. The dimensions of the phone are 75.4 x 155.9 x 8.2 mm and weight are 170 g.